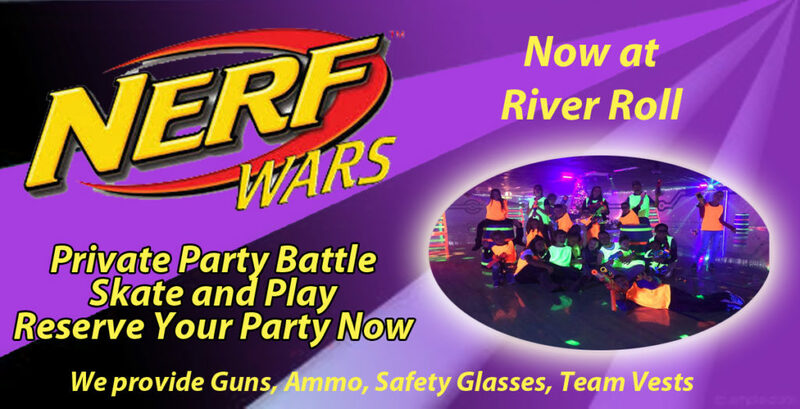 Make your party a little different – Add NERF WAR event to the party. 1 Hour (or your choice) of battles with your guest. We supply the guns(may bring your own), ammo, safety glasses, team vests, everything needed to have a great time with your guests. Our staff will set up the floor with Black Lights, barricades to hide behind, & Haze fog for a wonderful experience – you choose the types of games to play – Capture the Flag, Last Man Standing, Zombie, and many others to choose from. Party times are extremely limited – it is best to book your date and time ASAP. Please click the schedule your party link below to check availability and book your event now.